Our Lee County health and wellness program is proud to serve as a training site for medical, nursing and social work students working towards a career in health care. In Lee County, our health and wellness services include general physical exams, as well as referrals for lab work and advanced diagnostic testing. We treat chronic illnesses, such as diabetes, high blood pressure, arthritis and chronic obstructive pulmonary disease (COPD). We do not provide chronic pain management or controlled substances. 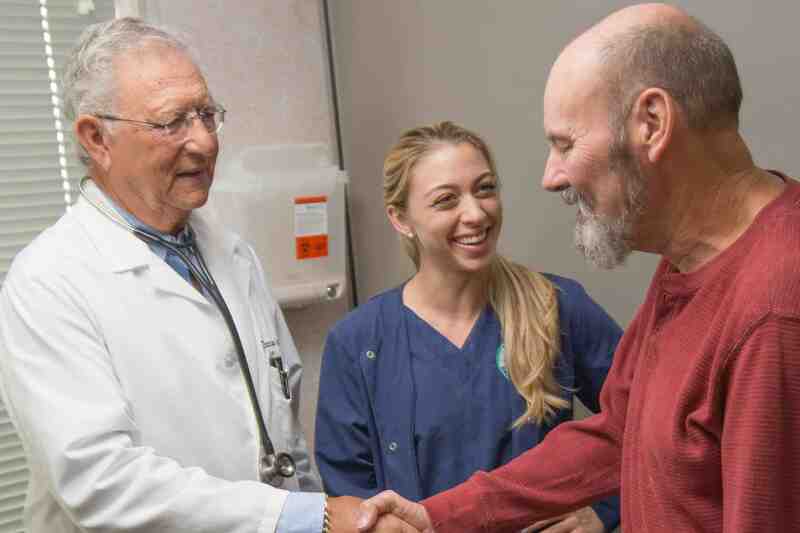 We have licensed retired and practicing volunteer physicians who are able to see patients as their primary care physician. Basic blood tests and screenings can be done to ensure patients are on a healthy track. Our clinic charges $25 per office visit. We also provide women’s health and no cost mammograms. Our volunteer gynecologist will perform a clinical breast exam, a pelvic exam and a pap smear if needed. A mammogram appointment will be scheduled after the exam with the doctor. Patients ages 50 to 64, having limited incomes and no private insurance, are eligible for services. A simple telephone call to our office will determine your eligibility for this screening. We will set up your appointment at the time of your call. We also offer a variety of special programs to help our clients stay healthy and live life to the fullest. These include the Florida Breast & Cervical Cancer Screening Program, counseling, prescription assistance program and patient education. We are proud to serve as a training site for students (medical, nursing and social work) from Florida Gulf Coast University and Florida Southwestern. Students working towards a career in health benefit from medical experts who, in turn, enjoy the opportunity to mentor the next generation of health care providers. Our Lee County clinics are by appointment only. Please call for scheduling availability.